This page provides a video archive of presentations at the annual SSEP National Conference by student researchers whose experiments were part of the SSEP Mission 10 to ISS Casper experiments payload. Mission 10 to ISS was the twelfth SSEP flight opportunity. Casper is expected to launch on SpaceX-11, NET (No Earlier Than) April 2017, from Cape Canaveral Air Force Station, Florida. Casper is also slated to return to Earth on SpaceX-11, splashing down in the Pacific off the California coast, after likely one month aboard ISS. 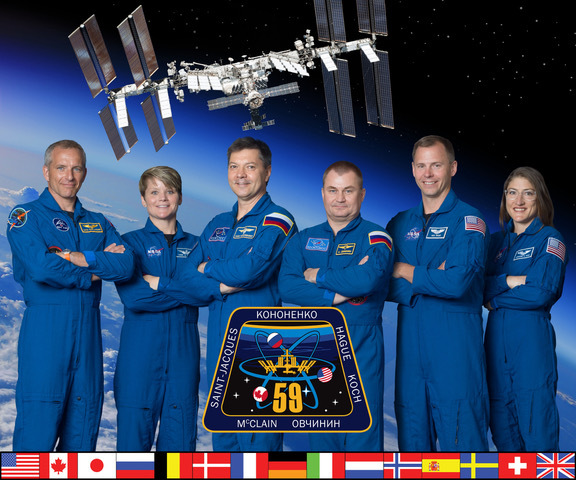 For details on the flight profile for Casper, see the SSEP Mission 10 to the International Space Station (ISS) page. Some student flight teams present at more than one annual conference, reporting out status at various stages of the life cycle of a flight experiment. It is also true that not all student flight teams attend a conference. For details on all Casper flight experiments, see the Selected Experiments on SSEP Mission 10 to ISS page. Title: Can Annelid Eggs Hatch in Microgravity? Abstract: Our experiment was designed to expand the possibilities of crop cultivation of annelids, or vermiculture. Our hypothesis is to determine if the cocoons can hatch in microgravity (mG). Encapsulated Earthworm CocoonsTM will be placed in volume 2 of the Fluids Mixing Enclosure (FME), with water in volume 1, and a fixative in Volume 3. The first douse of water will dissolve the clay encapsulation, the formalin will stop any other unnecessary process from happening. Abstract: Our SSEP project aims to test the effects of microgravity on the oxidation of iron. By exposing an iron sample to water while in a microgravity environment, we hope to study the effects that microgravity has on the formation of iron oxide. Upon the experiment’s return to Earth, we will be conducting an extensive metallurgical study on the iron oxide that forms. We predict that microgravity will have an effect on how the iron oxide forms. Abstract: Our experiment seeks to observe the effects of microgravity on cell migration, an important process involved in fighting infection and repairing wounds. Developing eggs in fruit flies, Drosophila melanogaster, serve as our experimental system due to genetic similarities between fruit flies and humans. Parent flies are sent to the ISS to create offspring whose egg development will occur in microgravity. Upon return from the ISS, ovaries will be stained to analyze our expected results of delayed migration and altered cell machinery. Abstract: Pathogenic (disease-causing) bacteria are a threat to long-term space travel, and microgravity has been shown to enhance pathogenicity. This experiment will assess the role of microgravity on expression of pathogenicity genes by bacterium Bacilus subtilis. B. subtilis endospores will be sent to the ISS and activated in microgravity. Growth will be stopped and mRNA will be preserved before reentry. We will analyze mRNA levels (through RNAseq) on the ISS sample and a ground control, providing information on gene expression. Abstract: This experiment was designed to test the ability of planaria to regenerate in microgravity. The purpose of our experiment was to gather data and apply it to humans in order to create a platform for further research on this topic. Our ground truth results showed successful regeneration of a planarian and their ability to survive in a test tube for extended periods of time. If the planarian had been exposed to a microgravity environment, we expected to find signs of cellular atrophy. Abstract: This experiment involves comparing the development of Vanessa cardui (Painted Lady) butterflies from eggs to pupae in microgravity to earth conditions. The butterfly eggs will be refrigerated, which promotes dormancy and delays hatching and development until arrival on the ISS. This study will provide data about insect development and survival in microgravity. Insects are important to life on Earth as pollinators. These results could lead to more natural food production and better oxygen levels on future extended missions. Abstract: This experiment was designed to study the effect of gravity on the consumption of metal by the microbe Shewanella Oneidensis. Clamp A will be unclamped on A+2 mixing S. Oneidensis/distilled water with lead. Analysis will include before and after measurements of lead mass and behavioral observation of the microbe. Abstract: This experiment was designed to document the effects of microgravity on the process of human fertilization. The experiment proposes to suspend human sperm and eggs in two separate volumes and allow the sperm to fertilize the eggs. To analyze the results, a stereo microscope would be used to visually identify indicators of fertilization. Difficulties in securing materials have delayed conduction of the ground experiment. It is hypothesized that microgravity will affect the fertilization process, but the exact effect cannot be hypothesized. Abstract: This experiment was designed to study the regeneration of living tissue in microgravity environment compared a gravity environment. Severed worms will be sent to ISS, where they would have an allotted amount of time to regenerate on their own. At U-2, a clamp is removed that contains a fixative that will stop regeneration before going back to Earth. Analysis includes measurements of total body length, and total lengths of blastema and regeneration following blastema using a dissecting microscope.